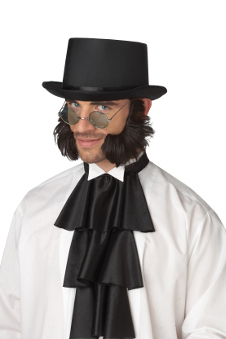 This Psycho Mutton Chops accessory is the biggest, boldest pair of sideburns you can imagine. Adhesive sideburns only. Hat sold separately, cravat, glasses and shirt not included. Team them with your favourite period costume or indulge your crazy mutton chops growing fantasies.